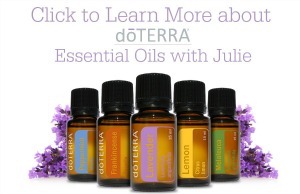 The pre-Holiday season is upon us and if you’re anything like me you are beginning to shop for the people on your list. I have a healthy list of gifts to purchase and each year I do my best to find something that each and every person will love. I have come to really enjoy shopping locally for those on my list; it allows me to support my local retailers and often times I can find something unique which I couldn’t find elsewhere. Roaming from store to store is something I truly enjoy and that feeling I get when I spot the ONE item I know that difficult to buy for person will love is simply wonderful! I have been known to go overboard with my Christmas shopping so I am mindful of my spending habits and have become wiser with age. When I was in my first year of college, I’d gotten my very first credit card and to say that I ended up with a holiday spending hangover that following January is an understatement. It took me a long time to pay off my poor spending and that’s a lesson I’ve kept in the forefront of my mind each time I am out shopping for the holidays. I’m sure you’ve got a story like that or know someone who does. All too often we get jazzed up with the Holiday spirit and end up with massive credit card debt during the month of December. No more I say! These days I shop using my Interac Debit or Interac Flash card, this way I know that I’m spending exactly the amount which I can afford and also avoiding impulse buys. There is another benefit to using my Interac Debit card, which many may not be aware of. Iit saves the retailer money as well. When one pays with credit cards, a retailer pays up to eight times more in service fees. EIGHT TIMES MORE! As someone who shops in many small businesses, that matters to me. It just seems wrong but it is a fact that a business is affected with a higher cost when a customer pays with a credit card vs when we pay with our own money. When I go into a store, no matter how much my purchase is, the retailer pays a single flat fee of around $0.06 per transaction to its payment processor when I use Interac Debit. When I use a credit card the vendor can pay between 1.5 to over 3 per cent of the item’s retail cost, not including processing fees. This means if I make a $100 purchase, the vendor pays between $1.50 and $3.00 for the interchange on a credit card transaction, but still a flat fee of $0.06 for an Interac Debit transaction. This is not something I feel is acceptable and just another reason why I won’t be using credit cards for my Christmas shopping! I hope you’ll agree and avoid using your credit cards when you can. Check out this video where Jim Bexis, who is the owner of family-run Sun Valley supermarket explains how he has less security issues at the front end when customers choose to use Interac Debit or Interac Flash. Head Cashier, Kaylee Hodgins also talks about the speed of it and how the convenience means she can actually have conversations with customers. 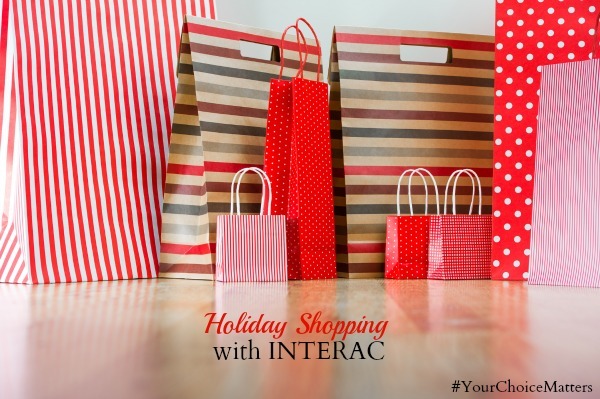 Using your own money for holiday shopping is more secure with Interac Debit than with credit cards. Cchip-enabled Interac Debit and Interac Flash cards are extremely secure and are protected from fraud tactics such as skimming, duplicating and electronic pick-pocketing. Connect with Interac on Facebook, Twitter, Instagram or YouTube. Join us for the #YourChoiceMatters Twitter Party on December 3 at 9 pm EST! 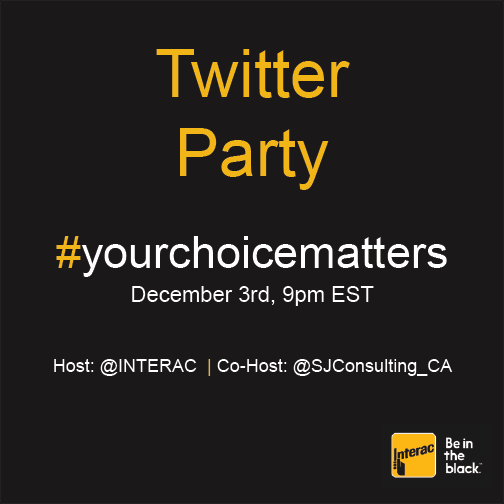 Prizing Eligibility: Open to Canadian residents who participate in the #yourchoicematters Twitter Party administered by SJ Consulting on Wednesday, December 3rd between 9:00 and 10:00PM EST, using the hashtag #yourchoicematters. RSVP Below by adding your Twitter name (ie. @SoberJulie) in the URL field and your Twitter link (ie. https://twitter.com/SoberJulie)) in the Name field.